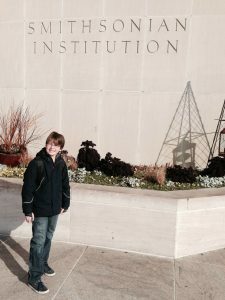 This is a guest post by Charles Solomon, 7th grader at Forsythe Middle School (Ann Arbor, Mich.), who accompanied his father, Matthew Solomon, to DC for his March 3 lecture, Fantastic Voyages of the Cinematic Imagination at the National Museum of American History. The lecture was presented in tandem with our current exhibition, Fantastic Worlds: Science and Fiction, 1780-1910. I love books. For the past two years, I’ve been the first one to check out books from the Forsythe Middle School library in Ann Arbor, where I live. I use books as bookmarks for other books—I don’t want to waste time that I could be reading searching for a bookmark. Only a few months ago, I received three new floor-to-ceiling bookshelves—but I’ve already filled them with books. 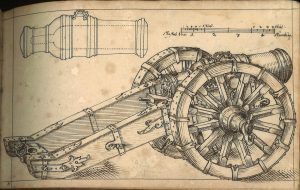 I absolutely love finding and reading books I haven’t seen before, which is why I enjoyed the Smithsonian Libraries’ Dibner Library of the History of Science and Technology so much. During our early March stay in DC, my father and I visited one of the world’s biggest libraries: The Library of Congress. However, I think I like the Dibner Library more than the Library of Congress, simply because I got to see all of the books. Yes, I know the Library of Congress has millions of books—far more than the Dibner Library. However, I could see only a few of those books! Most are buried in underground storage areas, only available upon request, and I was too young to even get a library card. In the Dibner Library, however, I got to walk back into the stacks, where the librarian, Kirsten van der Veen, almost offhandedly pulled letters written by Galileo and Isaac Newton off of a cart. 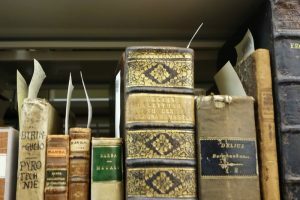 Among the shelves, I was also able to feast my eyes upon hundreds of rare books: unpublished manuscripts; 15th, 16th, and 17th century tomes; as well as thousands of old, obscure, and hard-to-find science books. Another awesome experience in this amazing library was when the librarian stopped in front of a shelf full of one-of-a-kind volumes, and pulled out a book handwritten in Latin with a thick wooden cover. She explained that the book, Miscellanea alchymica et astrologica, was a combined medicine, alchemy, and astrology text possibly used by a traveling healer in the late 1500s. That manuscript reminded me of how rich a history a single book could have. 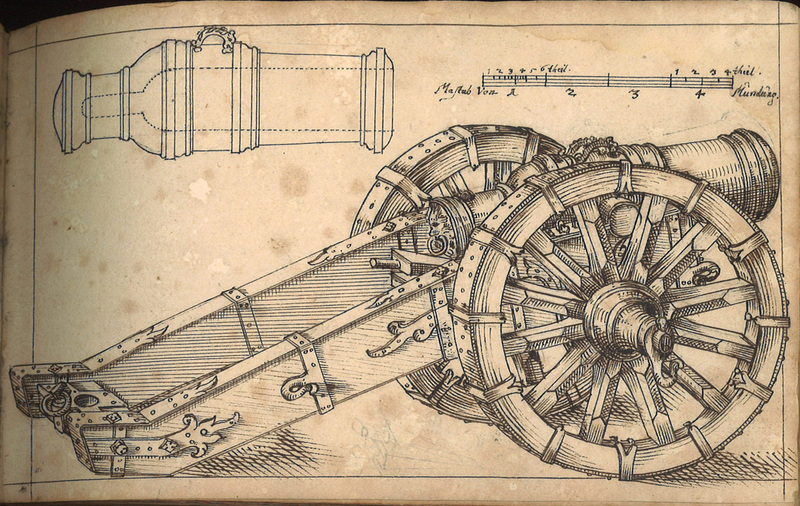 The next book the librarian pulled out was a mid 17th century German artillery manuscript. 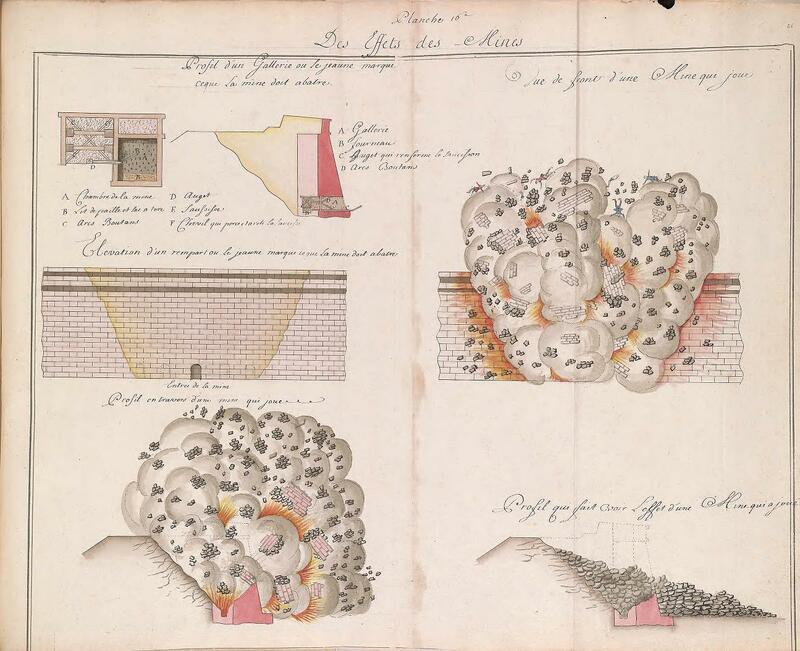 Sensing my interest in the beautifully drawn diagrams of castles and cannons, the librarian asked if I wanted to take a look at the manuscript in the reading room. I jumped at the chance. After all, when was I going to see something like that again? 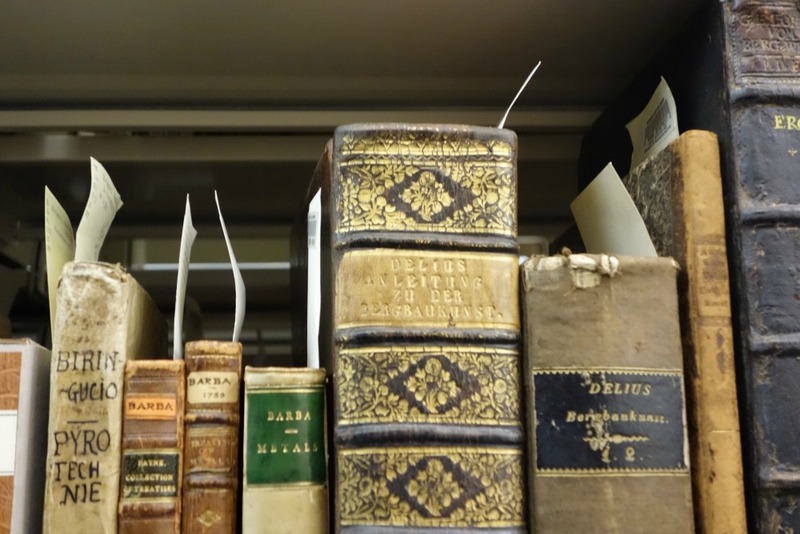 Walking through the stacks was neat, but examining the books I’d requested was even cooler. I got to thumb through one of the first printings of Einstein’s theory of general & special relativity—imagine what physicists at the time must have thought as old theories were overturned and new ones were established that stand to this day. I turned page after page through one of the early printed editions of Plato, marveling that the paper I touched, which was riddled with the ancient trails of bookworms, was printed over half a millennium ago. I carefully examined every last page in the German artillery manuscript, struggling to decipher some of the German. Seeing me relish the illustrations of artillery and fortifications, the librarian brought out an old, full color book about castles (Vauban’s Traitté des siéges et de l’attaque des places . . .), including gigantic pictures of castle walls exploding. It was awesome! Traitté des siéges et de l’attaque des places ; Traitté de la deffense des places, between 1700 and 1707? I’ve always been a storyteller, and the amazing books in the Dibner Library inspired some good stories. I imagine a tale about a young boy apprenticed to a traveling healer like the one who would have used Miscellanea alchymica et astrologic. 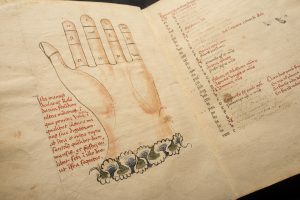 A book I glimpsed on a shelf, The Art of Necromancy, inspired the idea of a mystery set in 17th or 16th century Europe featuring a Necromancers’ guild making trouble. These, and the pictures I took, have given me plenty to think about until I next visit this inspiring collection. Charlie Solomon in front of the National Museum of American History. Previous Post Inspiring Discovery at the 2016 BioBlitz and Biodiversity Festival in Washington, D.C.